WPI undergraduates can begin work on a graduate degree simultaneously by enrolling in a combined Bachelor’s/Master’s (BS/MS) program. This accelerated course of study allows students to obtain a MS degree after only five years of full-time work (i.e., typically one year after completion of the BS), and even in four years with careful planning and academic advising and support. 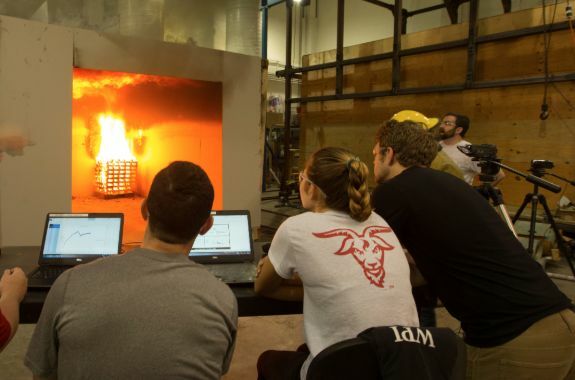 Students often obtain the BS and MS in the same field or department, but with advanced planning, some students complete the combined BS/MS program in two different fields; the combination of a BS in Civil Engineering and an MS in Fire Protection Engineering is a common example. WPI offers several specially designed BS/MS programs for entering students. These include Financial Mathematics, Fire Protection Engineering, and Industrial Mathematics. Eric shares why he selected WPI for the BS/MS program option as it allowed him to pursue both the technical and business degrees. Hear his story. Applications for the specially designed BS/MS program for entering students are applied through the undergraduate application. For all other BS/MS programs, students apply for admission during their junior year, typically after they have established their curriculum and other program requirements and completed the Course Selection Form with their faculty advisors. These applications are submitted to the Office of Graduate Admissions and are processed with all other graduate applications. Once a decision has been reached, the Office of Graduate Admissions will notify the student with a formal letter, usually within six weeks of receiving the application. With a fascination for science and innovation from an early age, Morgan has turned her natural curiosity into an exciting career path.